Whether cooking, baking, or perfecting sauces, try this light brown sugar for an all-natural sugar that's sure to please! Made of refined, granulated sugar, its distinctive brown color comes from the molasses mixed in, but it has a smaller concentration of molasses than dark brown sugar. Soft in texture and lighter in color, light brown sugar adds a delightfully delicate caramel flavor to your recipes. Using light brown sugar in your recipes also increases moisture retention, which boosts the shelf life of your baked goods. 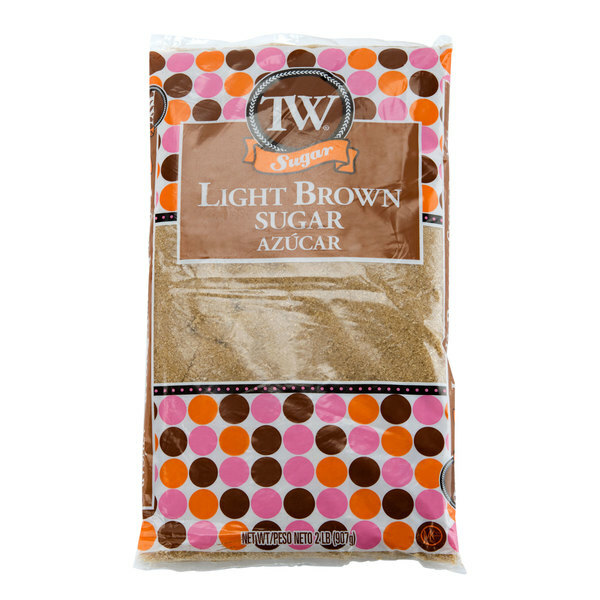 Make any dish a little sweeter with this light brown sugar. Create brown sugar cookies or cupcakes with your favorite mix-ins, toppings, and other ingredients. It can also be used to bake brownies, spiced cakes, shortbread, and crumble toppings. Though it's a must-have for bakery favorites, it's also great for preparing sweet syrups or savory barbeque sauces. From cooking to baking, to sprinkling atop pancakes and waffles, this brown sugar is sure to be a staple ingredient in your diner, cafe, or bakery! As a baker I became after retiring I had the change to price items I needed for my 12 ft long baking station we had built in our kitchen. When I went onto WEBSTRAUNT I was totally surprised at the prices I needed to out in glass containers with the lids. The worst is to run out of things you use when you decided to bake anything. The way I purchase items here on WEBSTRAUNT I so far have never ran out. The price is diffidently a fantastic purchase. Stores in a container and lid I also purchased from WEBSTRAUNT. this light brown sugar is the best light brown sugar I have ever had in my life. we will defiantly be needing more of this producttttt. I've actually used this brown sugar for about 2 years now and it's always great. It's always soft, never clumpy. I've used it for different baking and pastry applications and it's never disappointed. The small size is great for keeping it fresh also. I ordered this when we ran out of the brown sugar we get from a local wholesaler; I thought it was a great sub and would buy again if necessary. The smaller bags of sugar help keep the product fresher longer, especially if not using daily. The small 2lb bags are just the right portion when baking. I like to use this light brown sugar for sand on my beachy cakes. It works perfectly. I of course use it in my baking as well and it tastes great. This light brown sugar came fresh in the bag, meaning it wasn't all clumpy. I have used it before, and for the price, you really can't beat it. I mean, there isn't much premium levels of sugar out there, so this works of me. Good brown sugar, it was moist and did not have any hard, dried out clumps in it. It has a nice, mild flavor and tastes great on hot cereal, and used in sweet marinades. It came well packaged, and is a good price. Bought this brown sugar along with some corn syrup and crushed peanuts to make peanut pies. They turned out really well and had a great flavor. 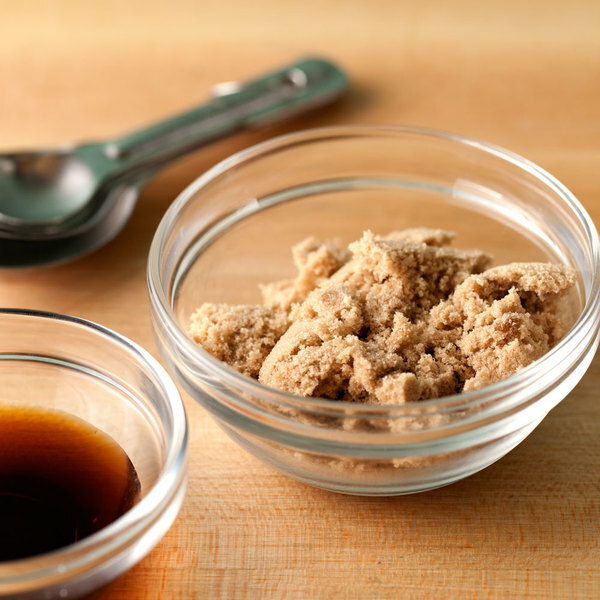 This light brown sugar's delicious – great for baking or mixing into boring old oatmeal. Another plus is that it's manufactured here in the US. Not only is this light brown sugar cheap, but it tastes good and it pairs perfectly with a ton of recipes. We have been using this stuff for a long time! I made cookies not long after I received the light brown sugar. I must say, they were the best cookies I have ever made. This was a really good deal and I am super happy with it. Great price on light brown sugar! It has a great taste and no clumps. Comes in a nice air tight bag so I can buy a bunch and use as needed! I use this brown sugar as an ingredient in my homemade BBQ rub and it works perfectly. It is a good quality brown sugar that won't break the bank. We have found this to be a preferred light brown sugar for our product. there are shiny crystals that show nice through the glass jar we sell it in.